sentence and word levels. 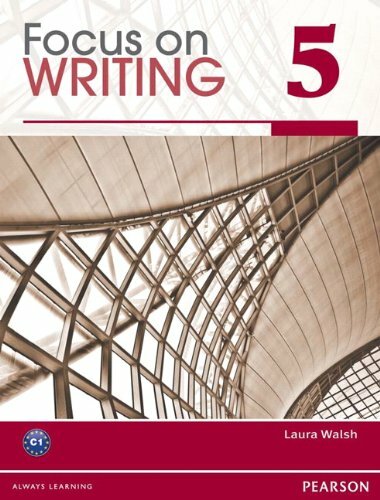 Features: Each unit teaches students how to use one or more common organizational structures: narrative, description, opinion, persuasion, compare-contrast, problem-solution, and cause-effect.High-interest readings and a choice of writing assignments provide a springboard for students’ writing.Grammar presentation and practice correlated to Focus on Grammar make the connection between grammar and writing clear.Building Word Knowledge mini-lessons and exercises teach students’ how to use word forms, collocations, idioms, compounds, descriptive details, phrasal verbs and other types of vocabulary in their writing.Revision and Editing checklists for each writing assignment help students rewrite and polish their first drafts.Online Teacher’s Manualscontain model lesson plans, unit overviews, timed writing assignments, authentic student models, and answer keys. Michael Foreman is one of the most talented and popular creators of children's books today. He has won the Kate Greenaway Medal twice and his highly acclaimed books are published all over the world. He is married and has three sons. He divides his time between St Ives in Cornwall and London.Laura Walsh suffered from a twenty-year addiction to painkillers and alcohol before rebuilding her life to become the director of three highly lucrative companies. When not overseeing her businesses, she spends time with her son, daughter and three granddaughters.